When Paul first came to Slovenia in 1998, he immediately realised how beautiful and unique this place is. Now that he is living in the Notranjska region, he got to know the countryside pretty well, but he never ceased to admire everything he sees. As a biologist and former lecturer in Wildlife Management, he is an engaged speaker, known for his enthusiasm. He started out as herpetologist but is an all-around naturalist with a broad knowledge. 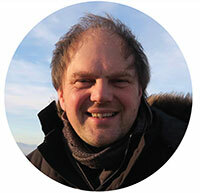 In Slovenia, he has worked on a variety of nature conservation and education projects. He recently returned to nature guiding and nature conservation projects as part of his activities. He is also a scientific illustrator, see www.animaldrawings.eu for examples of his work, or check our Facebook page, where he constantly uploads pictures of nature in Slovenia. 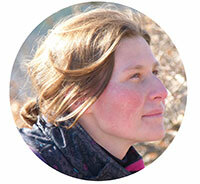 Jana is a Slovenian biologist who is especially interested in birds and nature conservation. Through Institute Symbiosis, a non-profit organisation, which she set up together with Paul, she is working on a variety of nature conservation and education projects, from surveys in the field to consulting for legislation and preparing management plans for protected areas. She is especially known as a specialist on invasive alien species, a topic on which she led several large education projects in Slovenia. In the framework of various projects, she led many excursions in Slovenian nature areas. She is a licenced tourist guide in the Green Karst and Primorska regions in Slovenia. 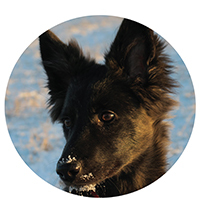 Vranja is a friendly and highly active young Dutch shepherd. She is born in the Netherlands and now lives with Jana and Paul. One day, she may be an assistant nature guide who will then help at selected one-day trips. At the moment, she is discovering the diverse nature of Slovenia and getting to know the local biodiversity.